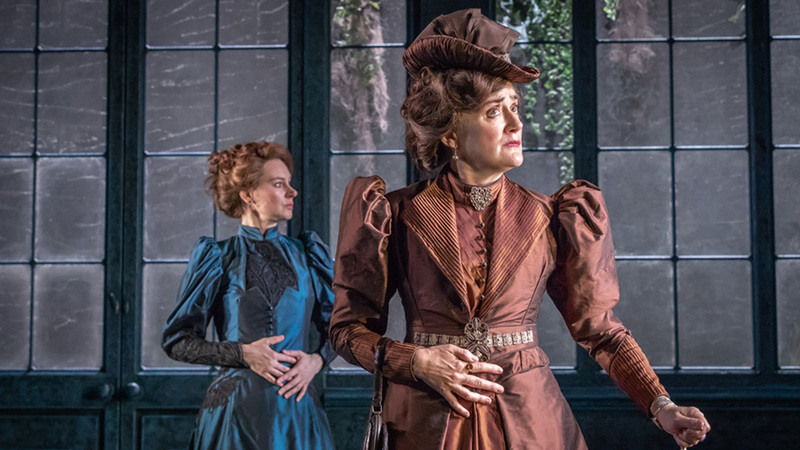 Last Thursday Stuart and I went to see Oscar Wilde's much-loved masterpiece The Importance of Being Earnest at the Vaudeville Theatre in London's glitzy West End. Widely considered one of the funniest plays in English, this beloved play is packed full of one-liners. The action throws love, logic and language into the air to make one of theatre’s most dazzling firework displays. It is hard to go wrong with such good material but many have fallen foul as they try to 'reinterpret' or 'reimagine'. Not so here, each scene is played with a straight bat. Moreover, this was a very good production. This is the final instalment of Classic Spring’s deliciously charming Oscar Wilde Season - and a very good run it has been. "The amount of women in London who flirt with their own husbands is perfectly scandalous. It looks so bad. It is simply washing one’s clean linen in public." "All women become like their mothers. That is their tragedy. No man does. That is his." "The only way to behave to a woman is to make love to her, if she is pretty, and to some one else, if she is plain." "I never travel without my diary. One should always have something sensational to read in the train." "Relations are simply a tedious pack of people, who haven’t got the remotest knowledge of how to live, nor the smallest instinct about when to die." "It is a terrible thing for a man to find out suddenly that all his life he has been speaking nothing but the truth." "When one is in town one amuses oneself. When one is in the country one amuses other people. It is excessively boring." "The truth is rarely pure and never simple. Modern life would be very tedious if it were either, and modern literature a complete impossibility!" "Ah! that must be Aunt Augusta. Only relatives, or creditors, ever ring in that Wagnerian manner." "Lady Bracknell: To lose one parent, Mr. Worthing, may be regarded as a misfortune; to lose both looks like carelessness." "Lady Bracknell: To be born, or at any rate bred, in a hand-bag, whether it had handles or not, seems to me to display a contempt for the ordinary decencies of family life that reminds one of the worst excesses of the French Revolution." England 2 Colombia 0 - prescient Kirsty MacColl !